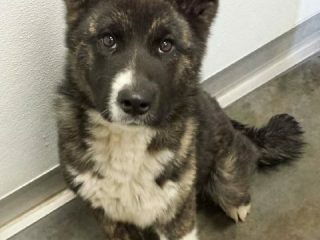 Tripawd Tuesday introduces Kuma the Akita Tripawd, a young dog who goes from neglect to forever love with a perfect family in Ontario, Canada. 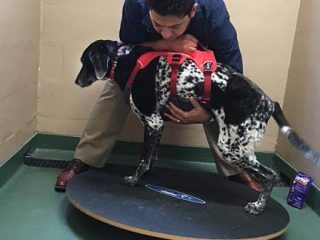 Amputee dogs health survey needs input from Tripawds community for U.K. physio therapy students at the Canine and Equine Physio Therapy Centre (CEPT) in England. 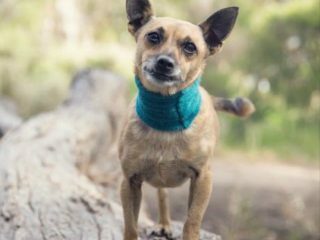 Is your pet suffering from arthritis in silence? 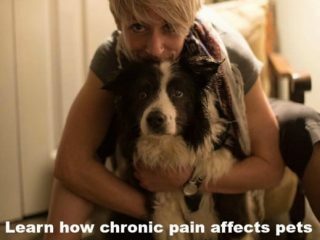 Tune in to Tripawd Talk Radio and meet Hannah Capon, a veterinarian raising awareness about Canine Arthritis Management. 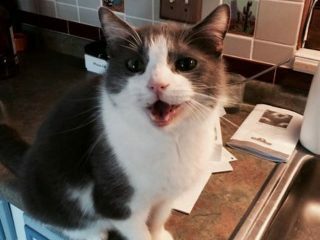 Wondering how an older Tripawd can be happy? Just watch Meisie get around on three legs for today’s #TripawdTuesday feature! 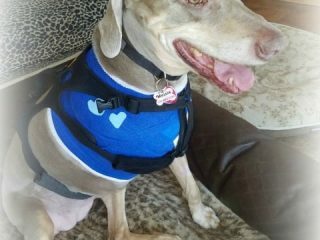 Amputee Pets Help is Here, Let’s Tell Everyone! 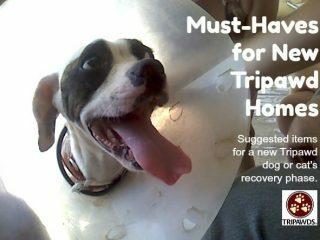 Amputee pets help is available but Tripawds Foundation needs volunteers to get the word out. Here’s what you can do. 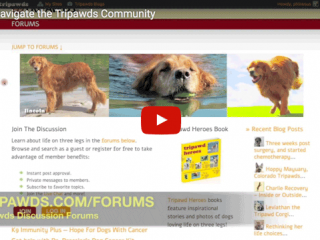 Want the truth about Tripawds? Ask Meg. 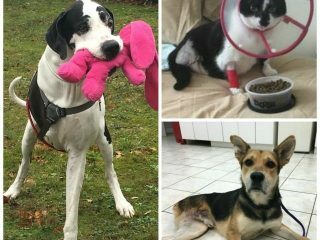 Today’s Tripawd Tuesday salutes Meg’s pack for their pawesome reality check about life on three legs.